Connor Russell pitches the Rangers' fifth straight shutout, 1-0 over Caribou. 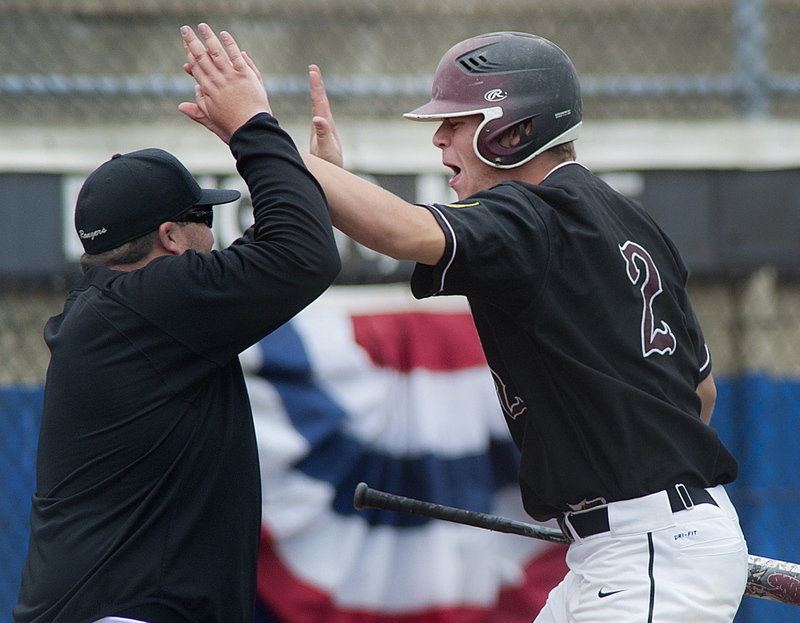 Greely pitcher Connor Russell, 9, is mobbed by teammates Mike McDevitt, back, third baseman Sam Porter, 17, catcher Reid Howland, 22, and Austin Nowinski, 3, after winning the state Class B baseball championship against Caribou 1-0 at Mansfield Stadium in Bangor on Saturday. BANGOR — When it was over and Greely had squelched the last Caribou hope with the game’s only double play, the Rangers rushed to the most appropriate spot on the baseball diamond for their celebratory dog pile. 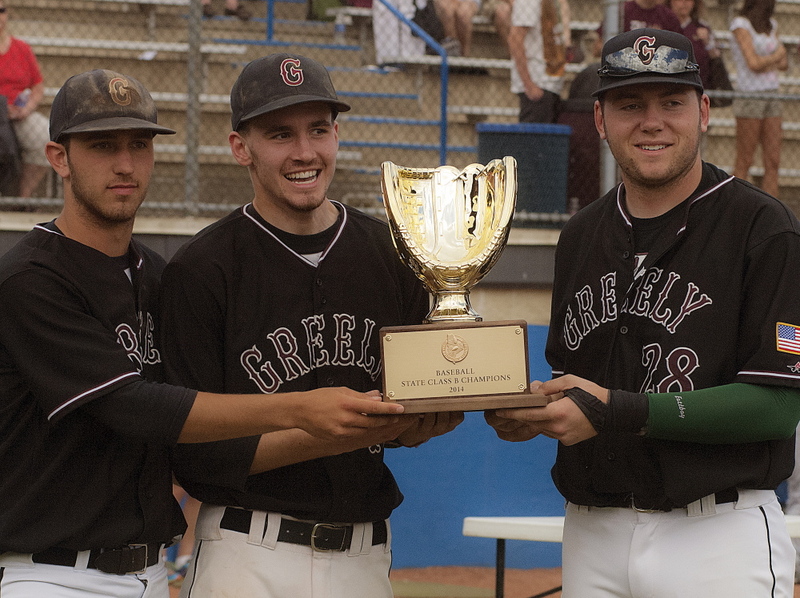 Left-hander Connor Russell emerged with a filthy cap and a wide smile after tossing his team’s fifth consecutive shutout, a 1-0 victory in the Class B state championship game Saturday afternoon at Mansfield Stadium. 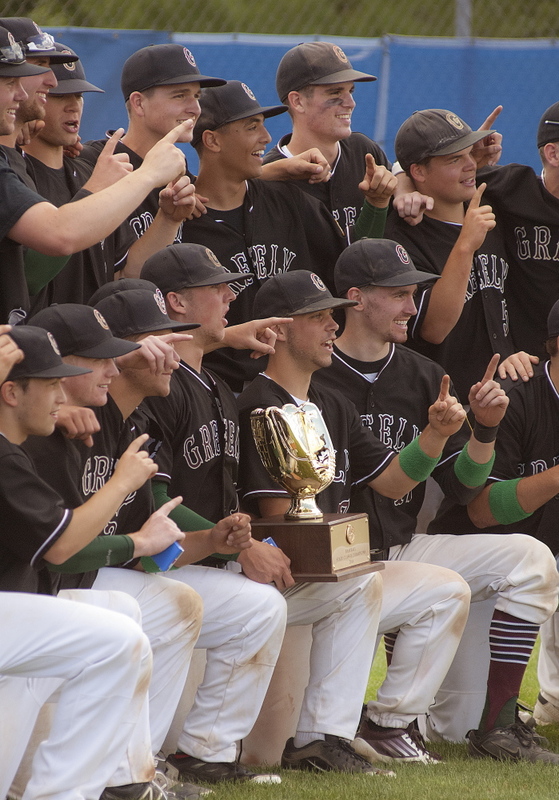 The state title is the fifth for Greely (17-3), the first since 2009, and the third for Coach Derek Soule. Caribou (14-7), the seventh seed in Eastern Maine, was making its first appearance in the championship game. 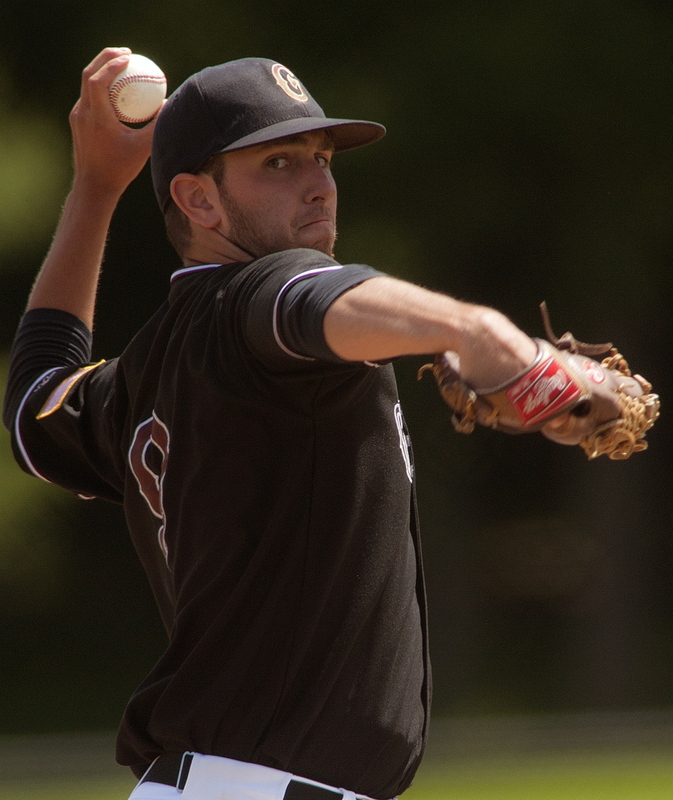 Caribou senior Sean Sadler held the Rangers to one hit through six scoreless innings. Pinch-hitter Will Bryant led off the seventh with a bloop single to shallow right field and took second on a sacrifice bunt by Miles Shields. 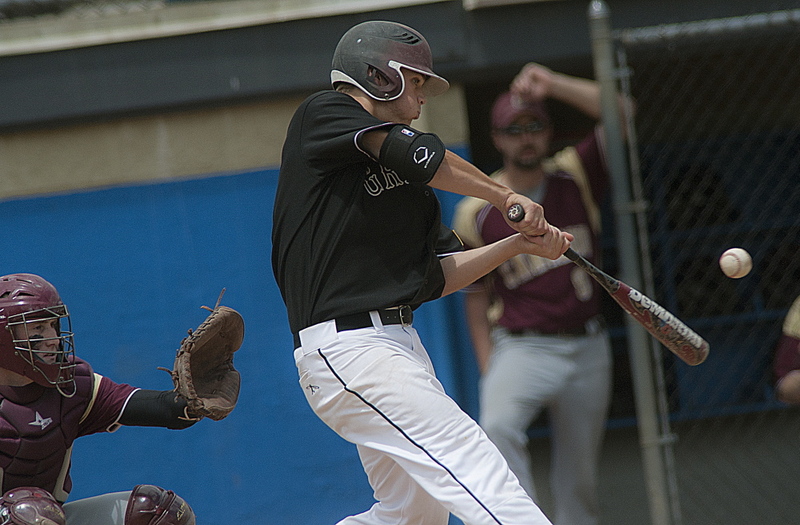 After Pat O’Shea beat out a slow bouncer to third base, junior catcher Reid Howland came up with runners on the corners. He worked the count full, fouled off a pitch, then squirted a grounder between the first and second basemen. “I was just trying to get one in the air, maybe get a sac fly,” Howland said. 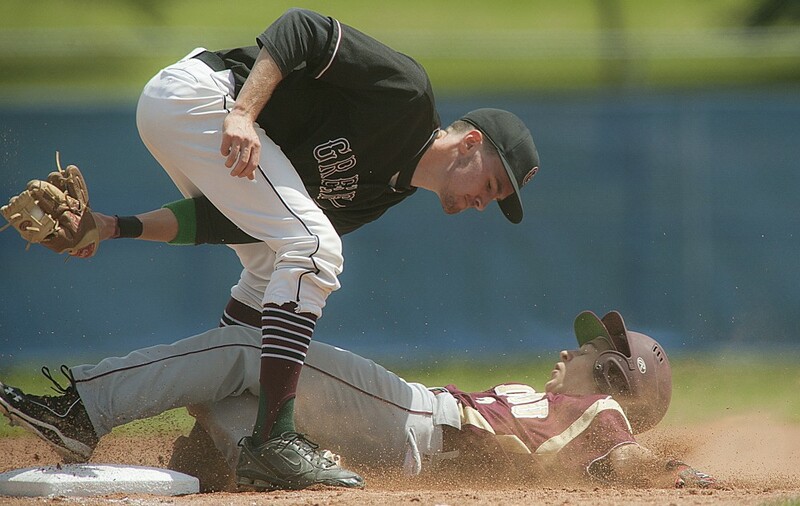 Caribou catcher Cody Herbert led off the bottom of the seventh with a sharp single to left, but a fielder’s choice and a game-ending double play sealed the victory for Greely, which finished its season with 40 consecutive shutout innings. 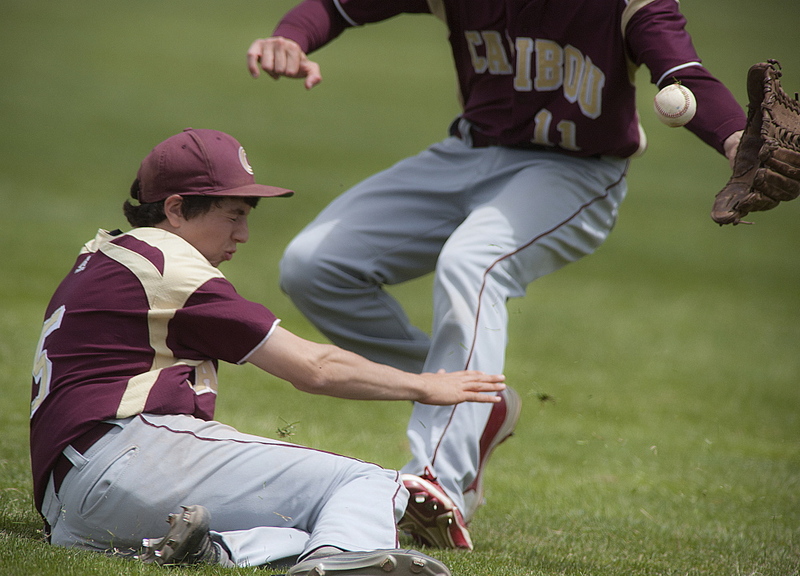 In the bottom of the first, Caribou’s Dustin Bouchard reached on an error and tried to take third on Matt Milliard’s one-out single to right.